Chubby Charmer is a great big bag. 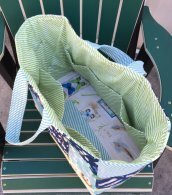 It is great for toting bathing suits and beach towels. A 9" x 13" casserole will fit in the bottom too! Chubby Charmer is approx. 14" tall x 18" wide x 10" deep. 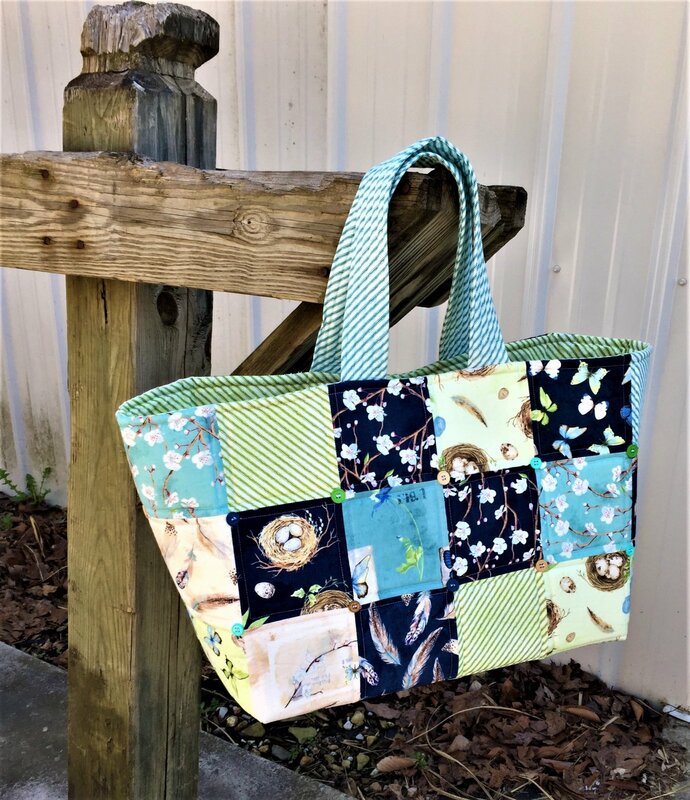 This handy tote offers lots of convenient inner pockets! What's required for the class? The Chubby Charmer pattern by Quilts Illustrated, designed by Penny Sturges, specially priced for class members at $8.99, (regular retail price $9.99). Optional: 24 - 1/2" buttons to coordinate with your fabrics. These are for used for decoration only. 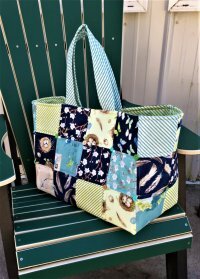 All of the required items are available for purchase at The Quilter's Trunk. Anything else you'd like to have handy to keep you comfy as you enjoy your class.